Ah, the beauty of preparing for a book release. Yes, it's happening. Jada's story is right around the corner and I'm gearing up to make this a release she deserves, and I need your help! Whether you can share on a blog, on social media, or by word of mouth, I'd appreciate each and everything you can give! 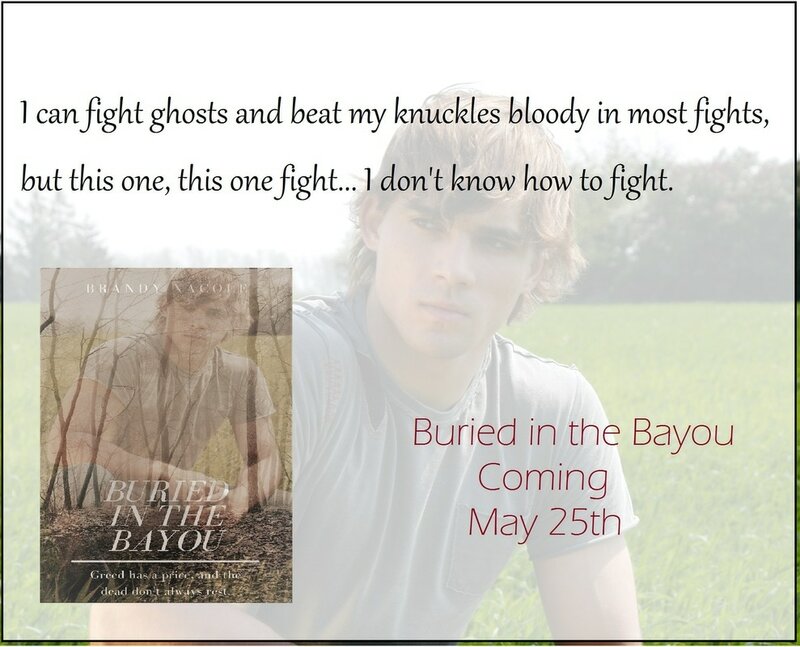 As a token of my gratitude, I am putting together a nice #booknerd basket which I will giveaway on the day Whispers in the Lake is released. To signup, follow the link below and let me know what you would be willing to participate in. Lots of Love! It's here, the day I get to announce my first audiobook is now live! WooHoo! 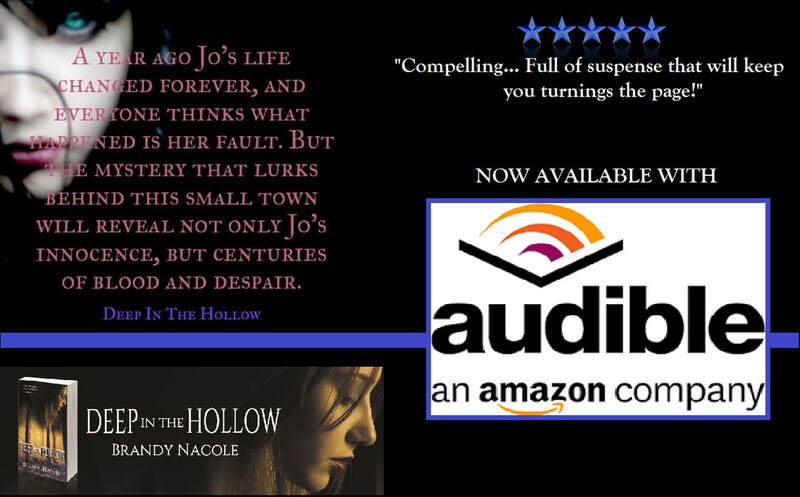 Deep in the Hollow is now available to purchase on Amazon and iTunes for your listening pleasure. We are all in charge of our own paths, no else. It's been said time and time again, and while we realize it, sometimes it takes a while for that fact to set in with our minds. We get content with making it from day to day, and before we know it another year has passed by us. It's a simple fact and one I have lived my whole life. Then one day, I discovered Lisa Jacobs thanks to my author friend Lori. It was through Lisa Jacobs that I made a realization and decided it was time to either get out of the publishing business or really commit myself to it. Guess what, I'm never giving up. I have written fiction my whole life, literally. As soon as I could write and discovered what an author was, I began writing. Before that my mom said I was a real delight because I made up the best stories at dinner time. The honest truth, I wouldn't be happy if I couldn't write. So, for the last month, I have been following Lisa's advice and have been planning, planning, planning. I realized how horrible my business practices were and what I needed to change. And since starting my career as a writer never have I felt so empowered over my own life. I'm so excited to see how this next year advances. 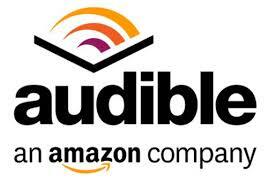 And to kick it off, Deep in the Hollow will be releasing on Audible in the next few weeks. Finally, my first audiobook. I'm so excited and I hope you are too. Soon to be available in paperback. Boxset to Release August 8th. 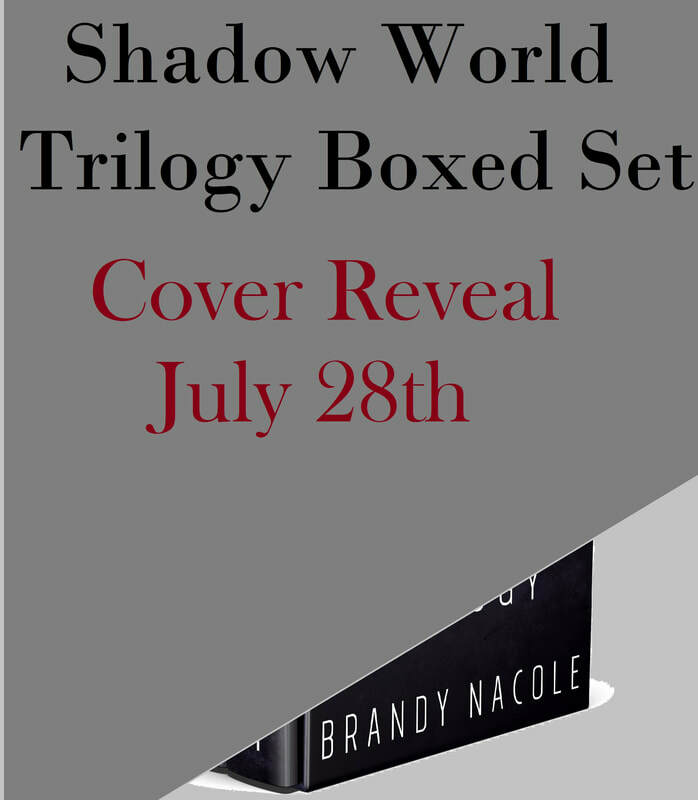 After a lot of rewrites, formatting, and a new look The Shadow World Trilogy will be releasing August 8th! Racquel is unique. The bloodlines of four of the most powerful beings in the Shadow World are intertwined within her DNA. She has never craved attention. She just wants to be able to live as normal life as she can. But she’s about to find that even though she’s uniquely unwelcome wherever she goes, her abilities also make her the best chance the Shadow World has to stop a threat to all the Shadow races. Once arriving home, Racquel finds that greater evils exist and that the person she cares for most in this world, her half-sister Addie, has been kidnapped along with other Shadow World beings. Racquel finds herself facing horrible odds with those who would rather see her dead than alive. As her journey continues, Racquel learns more about herself, what she is capable of, and that not every being looks at her as an abomination. Coy, a human captive that Racquel saves from the Vampires, starts showing kindness toward her. Racquel tries putting distance between her and the human boy but as they spend more time together it becomes harder and harder for Racquel to fight the affection she wants and needs. But will Coy’s friendship and her new found discoveries be enough to help Racquel unravel the strangest mystery that has ever plagued the Shadow World? ​As someone with four Shadow bloodlines, Racquel is uniquely unwelcome even among her fellow werewolves, shape-shifters, vampires, and witches. Growing up, she was bullied and tormented for being a “hybrid,” a condition frowned upon by Shadow society. After saving her sister and a number of other kidnapped Shadows from a diabolical plot to create a Shadow army, many have found a new respect for Racquel, but she is far from accepted in Shadow society, and the evil is far from over. To complicate matters, Racquel now finds herself torn between two brothers. Coy is caring and has helped Racquel through her struggles, and Micah, who Racquel has only met once but who is somehow, having dream conversations with him. Racquel becomes torn between following her heart while breaking it at the same time. 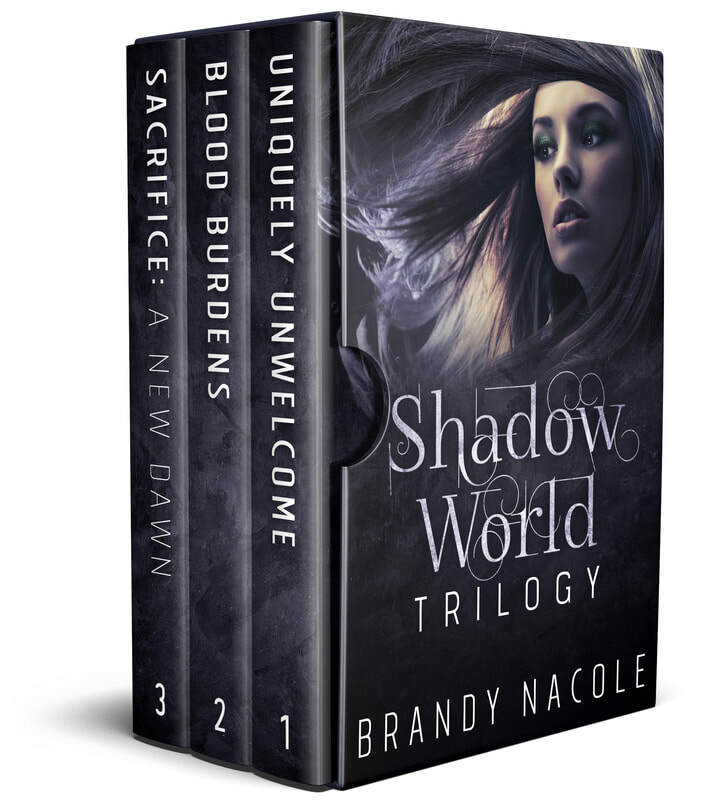 In the second installment of the Shadow World series, Racquel and her sister Addie face off with the Shadow leaders against a threat that could bring the world to its knees. Power will be pushed to its limit, hearts will be broken, and some will pay the ultimate price as Racquel and her group of Shadows fight against an ancient evil that is determined to make the earth bleed and Racquel with it.